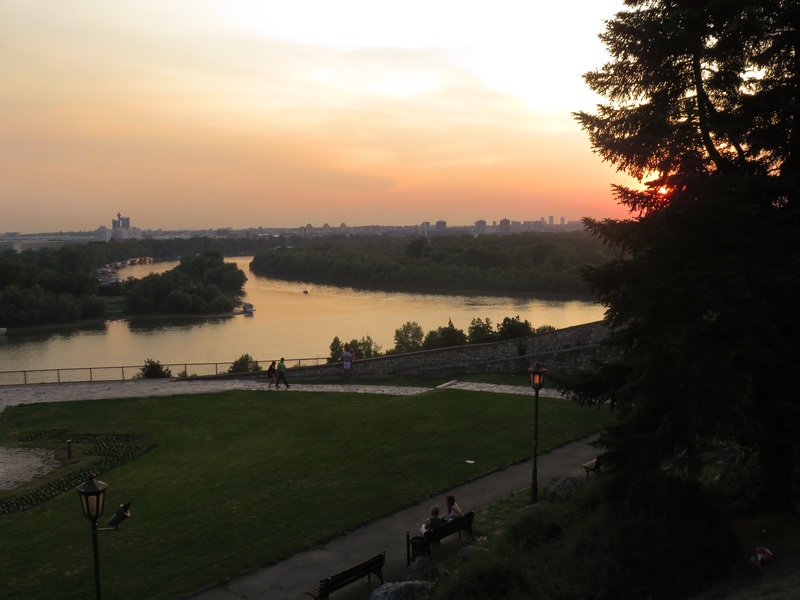 Beograd (Belgrade), which sits on the confluence of the Duna and Sava rivers, means ‘white city’, based on its local white stone and it can trace its origins back to pre-Roman times. Its strategic importance to different conquering tribes and armies was evident, as we looked down on the rivers from the ancient fort at sunset. Now, peaceful cruise boats ply up and down the river. at least we all had a seat. Our tour guide, Eliza had warned us we might need to stand the whole 2 hour journey! 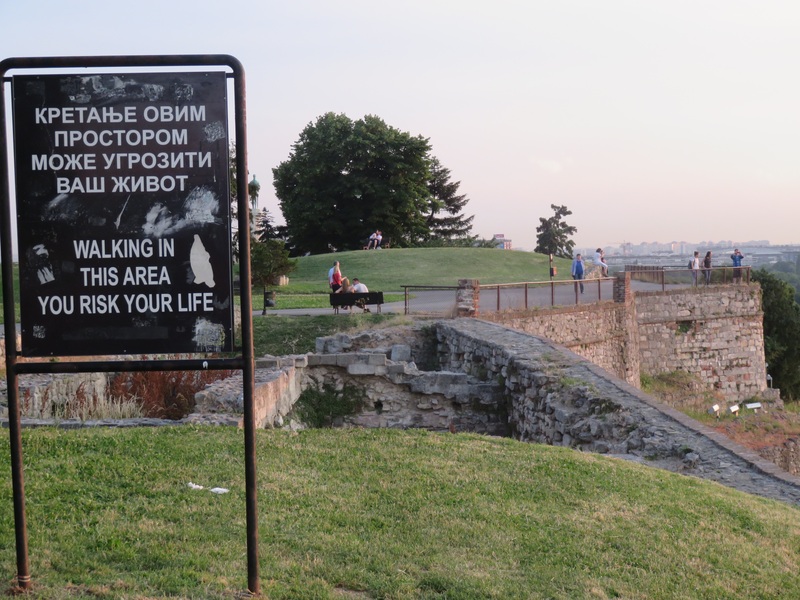 Our first impression was of a slightly dreary, grey ‘communist’ style city but we were to be enlightened by our tour down the main exclusive boulevard – an ancient Roman road – to the extensive park land and fort. Trying to understand the complex history of these first two countries was challenging to say the least. 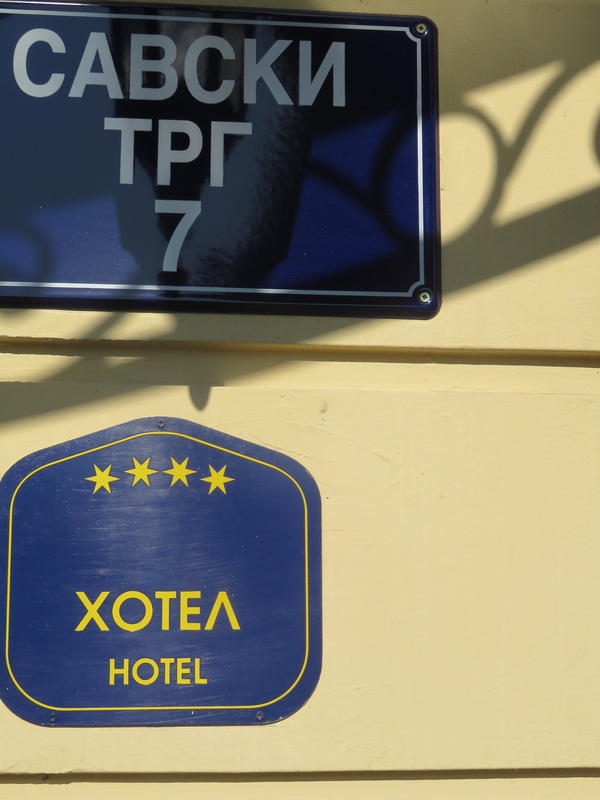 Our city guide, Boyana patiently explained how, when the Roman Empire converted to Christianity in the 4th century, the Byzantine or Eastern empire followed Christian orthodoxy based in Constantinople. The Western empire, which eventually followed Roman Catholicism exclusively up until the Middle Ages, was much less well organised and really did not return to ‘civilisation’ till Renaissance times. Beograd was the furthest western reach of the Byzantine empire and remained peacefully intact until the Muslim Ottomans arrived in the 1500’s and took over the fortification of the headland overlooking the Duna and Sava rivers. The Ottomans ruled until the Austrian Hapsburgs monarchy extended their reign into Hungary and the whole Balkan peninsular in the 18th century, pulling down all the mosques and bringing their Roman Catholicism with them. So there are no mosques in Beograd but the coffee is Turkish style; there are both Orthodox and Catholic churches but the majority of modern Serbians are Orthodox. It was also challenging negotiating our map using Cyrillic script! 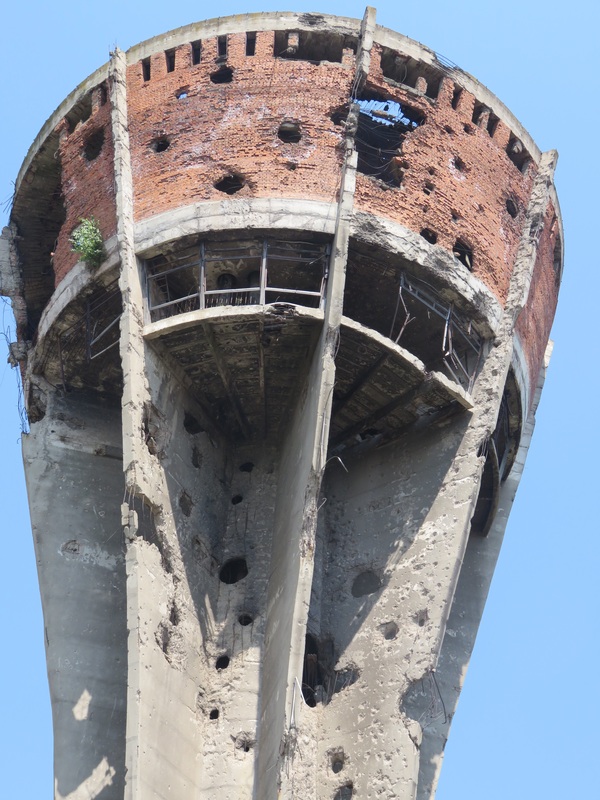 Beograd was bombed four times; during World War 1, in 1942 by the Nazi forces and then in 1944 by the Allies, trying to rout the German troops and again in 1999, by NATO forces over Serbia’s treatment of Kosovo. After WW2 the whole Balkan area had relative stability under the master tactician Josep Tito, who managed to keep his Communist Yugoslavia (Southern Slavs) at arms length from Stalin’s Russia and on good terms with the West. Our host, Vlad in Osijek recounted how Yugoslavians could go anywhere, buying goods in Germany and Italy and then selling them on the black market in Czechoslovakia and Hungary, both under Russian Communist restrictions. During this time, Orthodox Serbs and Montenegrans intermarried with Catholic Croats and Moslem Bosnians but no recognition of age old territories in the area occurred. After Tito died in 1980, all that changed and each national group pushed for their independence, culminating in the bombardment of Vukavar by the Yugoslavian (Serbian) army on the Serbian/Croatian border in 1991. 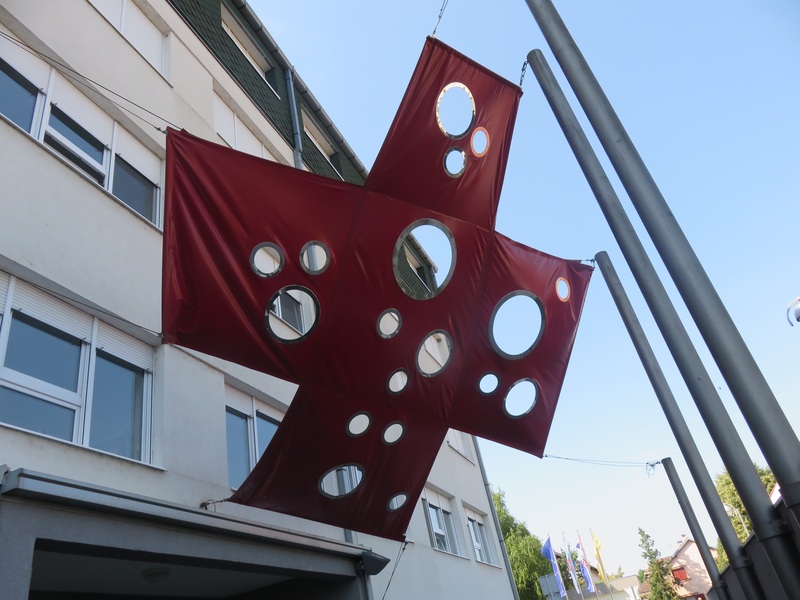 We visited Vukovar and the hospital which sustained 3 months of bombing, including the execution of 267 people, who were marched out of the hospital to a mass grave in the countryside and for which Serbian President, Slobadan Milosevic, was accused of war crimes by the International Court of Justice in The Hague. We were taken there by Vlad, our host from the nearby town of Osijek, 30 km away. Vlad was 16 years old when the war started. During the worst bombing he and his sister were evacuated to Bratislava in Czechoslovakia, to continue their schooling. He went on to become an agricultural engineer and manager for a local agribusiness, however, it was clearly evident the scars the war had left on him personally and the devastation of the economy, which is still struggling to recover. Our journey has included many high points of eating and drinking with the wonderfully hospitable people of both Croatia and Serbia. 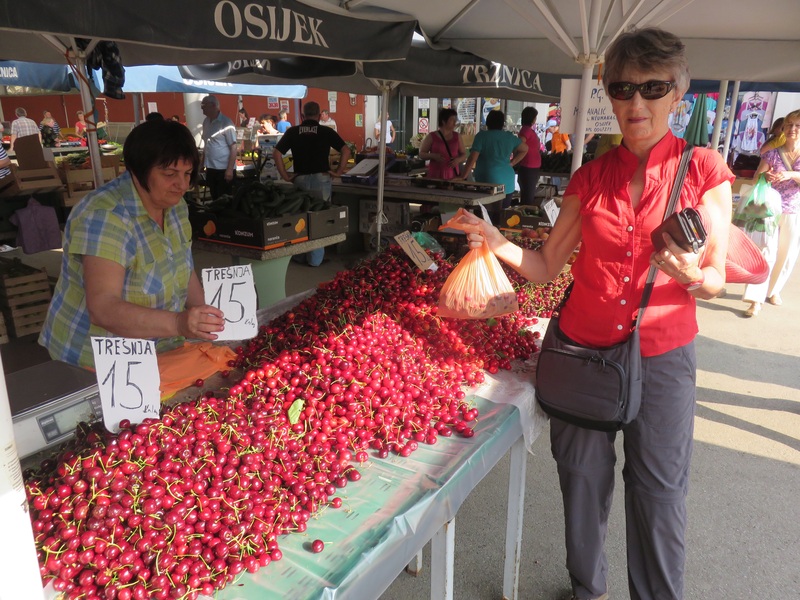 It is now peak cherry and berry season and we were taken to lunch at an Eco resort near Osijek, where animals and crops are raised in truly organic and traditional fashion. 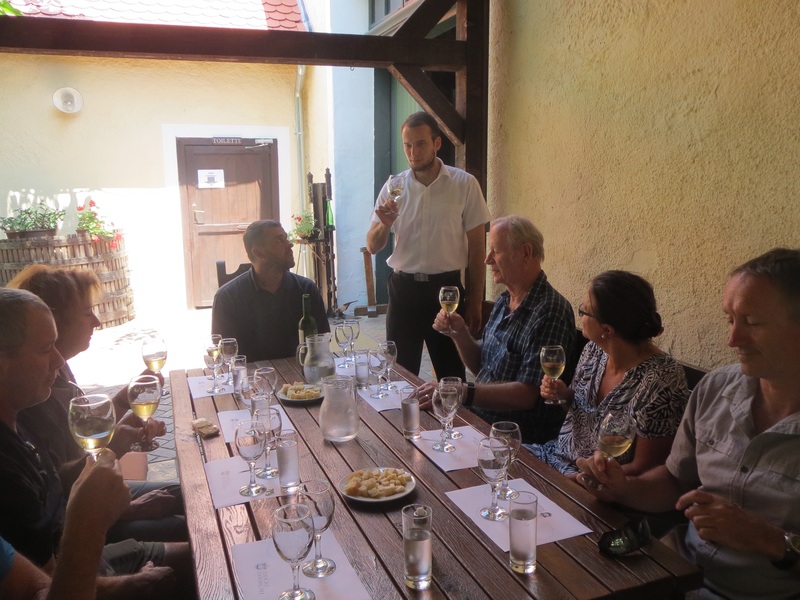 We finished our visit to Croatia with a wine tasting from a 600 year old monastery. 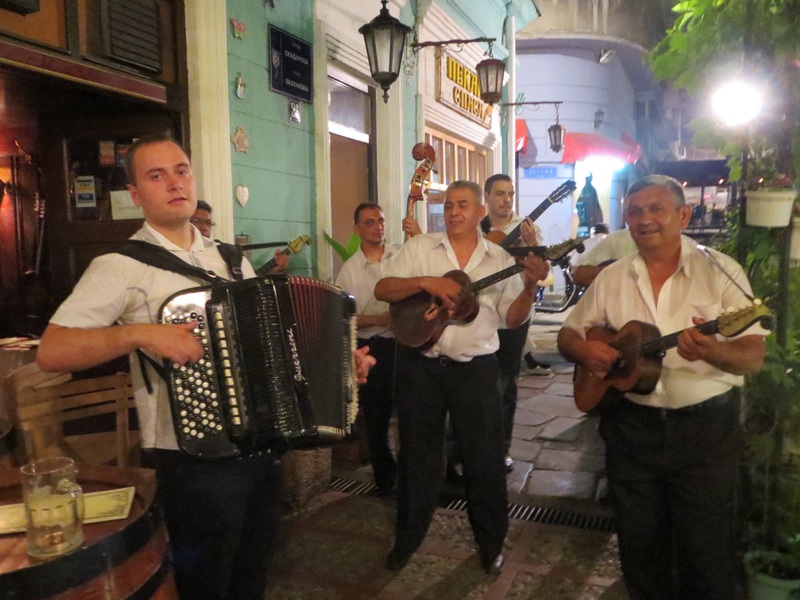 Last evening, we ate at the oldest restaurant in Beograd, with live music from a Tamburitza orchestra.